At Wadi Al-Hittan on Luxor's west bank, the two lonely Colossi of Memnon are seated, greeting visitors to the Theban necropolis. These 2 somewhat weathered seated statues greet visitors to the necropolis. They are all that remain of what was once the largest mortuary temple in the necropolis, that of Amenhotep III which extended from Ramesseum to Medinet Habu. But now everything is going to be different as the temple that the monoliths once safeguarded is progressively re-emerging from oblivion for the first time since its collapse 3,200 years ago after a massive earthquake. 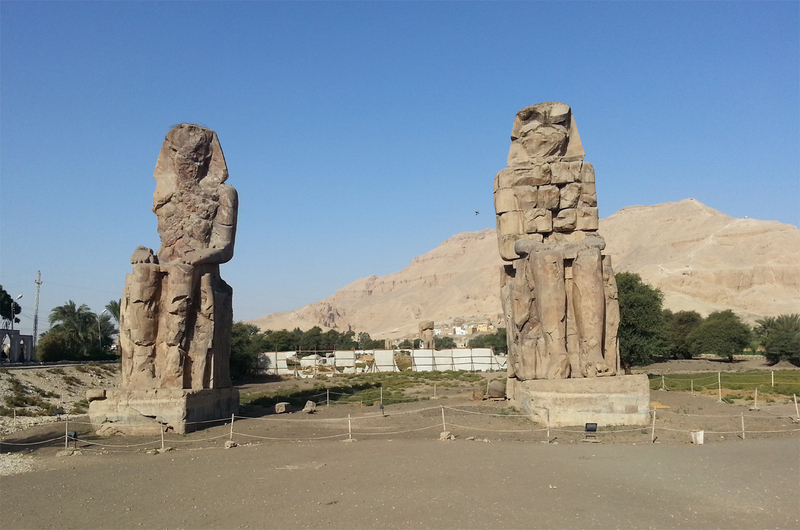 The efforts exerted by the Colossi of Memnon and Amenhotep III Temple Conservation project can make the dream of the reconstruction of the lost temple come true. The originally awe-inspiring temple of the pharaoh Amenhotep III now appears as just slight elevations and depressions in the packed earth, with blocks, statues and fragments scattered across the surface. However, three of the temple's original pylons can now be discerned, along with the statues and stelae that decorated its different courts. 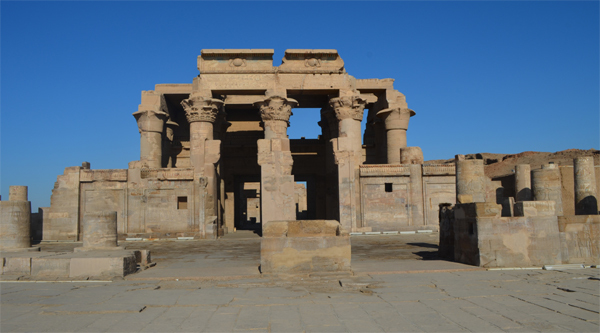 The temple was built throughout the 38 years of the pharaoh's reign in the first half of the 14th century BCE. Some 150 years later, it was toppled after a destructive earthquake hit the country around 1,200 BC. The site was then used as a quarry, and most of the blocks and decorative elements were re-used in the construction of surrounding temples and structures. Later, the remains of the temple were regularly subjected to floods and it was covered with the alluvial layers of the Nile. In the 19th century, collectors scoured the site, taking away several royal statues, smaller divine effigies and statues of the goddess Sekhmet. At the beginning of the 20th century, the Egyptian Antiquities Service of the time inspected the site, and more recently work was carried out there in collaboration with the Swiss Institute in 1964 and 1970. Since then, the site has been abandoned, and the visible remains of the temple have been in a poor state of conservation, submerged by water, invaded by vegetation or threatened by encroachment or vandalism. In 1998, the CMATCP started a salvage operation at the temple in order to conserve the last remains of the ruined site and to mount the monuments in their original locations within the temple's walls. Over 16 archaeological seasons, excavation and conservation work was carried out and the architecture of this magnificent temple finally revealed. The new finds were unveiled in 2014 in the area: the first new colossus shown to visitors was one found at the temple?s second pylon, 100 metres west of the Memnon colossi. It is carved in red quartzite and features Amenhotep III seated on the throne with his hands on his knees and wearing a pleated kilt about the waist with a belt decorated with zigzag lines. 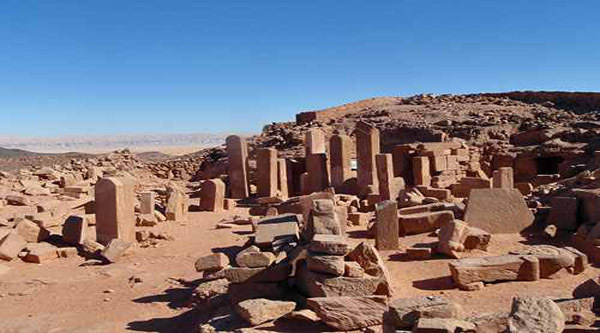 On the king's right stands a statue depicting his wife, queen Tiye, wearing a large wig and a long, tight-fitting dress. Beside his left leg is a missing statue of his mother, Queen Simataw. The throne itself is decorated on each side with scenes showing the unification of Upper and Lower Egypt. After its restoration, the body of the colossus, weighing 250 tons, was lifted up and re-erected in its original position on new concrete foundations. Over the past three years, other parts of the colossus have been inserted into the newly erected body of the statue, and then the 16-ton head of the colossus was lifted up and fixed on its shoulders. The colossus is some 11.5 metres tall on a base 1.5 metres high. Further west beyond the temple's second court, restoration work is continuing on a 14-metre alabaster monolithic colossus representing Amenhotep III seated at the gate of the temple's third pylon. The king is shown seated on a throne with his hands resting on his knees. Between the legs stands a 1.7-metre statue of his beloved daughter Iset, wearing a rounded wig and long, tight-fitting dress. Her arms are pressed against her body, and she holds a necklace in her right hand. Her face is slightly damaged by erosion, and her feet are still missing. Near the statue, an alabaster head considered to be part of its twin northern colossus was also found. Its nose, eyes and ears are intact, and some signs of restoration in antiquity can be seen. For the northern one, the head had been found but much of the throne was missing. For the southern one, the throne had been found but the body and the head were missing. At the southeast corner of the temple's peristyle court, the head and feet of a standing red granite statue, found in 2006, can be seen. The 1.3-metre head shows the king wearing the crown of Upper Egypt and holding the royal insignia. The statue will be completed with the body shortly and will reach a height of eight metres. The statue belonged to an ensemble of similar pieces that had originally stood between the papyrus bundle columns surrounding the southern part of the court. A similar head taken in 1816 by the agents of the British consul in Egypt at the time is now on display at the Louvre in Paris. At the northern gate of the temple precinct, a red quartzite colossus has been found and re-erected in its original position after several attempts at a salvage operation on it and its twin. Both colossi are monoliths of quartzite hewn in the quarries of Gabal Al-Ahmar near ancient Heliopolis and transported to Thebes to stand outside the northern gate of the funerary temple of Amenhotep III. The colossi represent the king walking forwards, holding a papyrus roll in each hand inscribed with the royal name. The king wears the white crown of Upper Egypt and a pleated kilt held at the waist by a large belt decorated with zigzag patterns and a rectangular clasp bearing an inscription with his name. A dagger with a falcon-headed handle is inserted in the belt. The king also wears a broad collar around his neck. Toppled in antiquity by an earthquake the two colossi fell in a southeastern direction and broke into several pieces, remaining lying down until earlier this 2014 year. The largest piece weighs 44 tons, and the total weight of each colossus is estimated to be 100 tons for a height including the base of 13 metres. The colossi were described by archaeologists working on the French expedition in 1821, and then by the French archaeologist Champollion in 1828 and by the English archaeologist Wilkinson in 1835. Later, they were rediscovered by the German archaeologist Ludwig Borchardt in 1933, who asked archaeologist Mahmoud Darwish to uncover them in 1949. Archaeologist Labib Habashi re-studied the partly uncovered colossi and published his results in 1981 in cooperation with the Swiss Institute. Since then the colossi have been lying in privately owned fields. 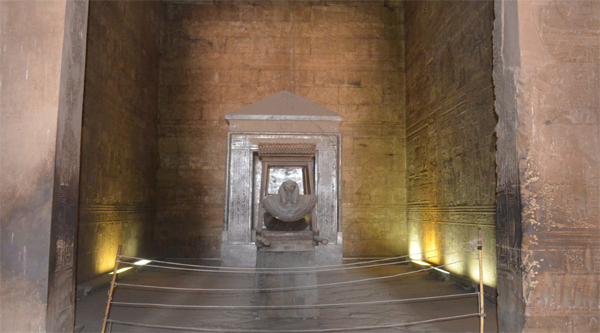 The original ground level of the temple lay 2.5 metres below the actual surface of the fields and the stone was threatened by irrigation and salt penetration. 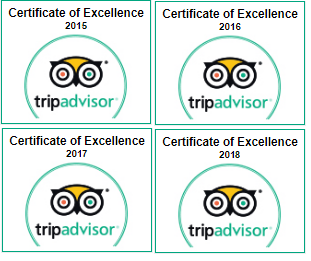 In 2013, a joint excavation team from the MSA and the CMATCP had again carried out excavations and succeeded in uncovering 73 pieces from the eastern colossus and 88 pieces from the western one. All the pieces were lifted by crane and moved to solid ground where they were documented and cleaned. The eastern statue has now been lifted up, while the more fragmented western one with more missing parts were lifted up in autumn 2014. Until now, the world only knew about the two Colossi of Memnon, but from now on they will know of five more colossi of Amenhotep III. On Sunday 16 Feb 2014 at King Amenhotep III's funerary temple on Luxor's west bank quartzite blocks belonging to the colossi of Memnon was discovered. The European-Egyptian archaeological mission has unearthed a collection of quartzite blocks that had been missing since antiquity from Memnon colossi, at the entrance of King Amenhotep III's temple at Kom El-Hitan. 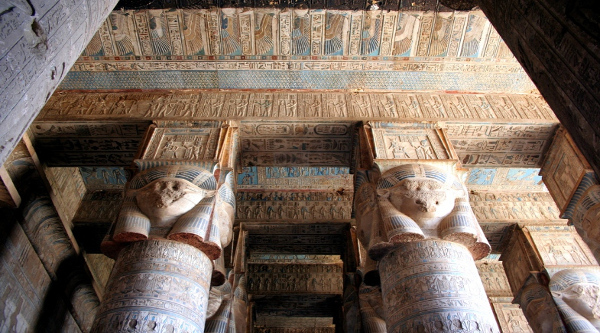 The blocks belong to the northern colossus and depict a part of the statue's arm, painted belt and skirt. These blocks were missing since antiquity following an earthquake that led to the destruction of the temple, with the exception of these two colossi which once decorated the temple's entrance gate. In addition to the 88cm tall and 76 cm large blocks, the mission had also uncovered others that were once part of the colossus' royal crown and foundation stone. So gigantic statues in the middle of nowhere! We took some cool pictures near them, they are really impressive, and now even more statues are situated near by, so it is not just these 2 colossi that you find in the area nowadays.